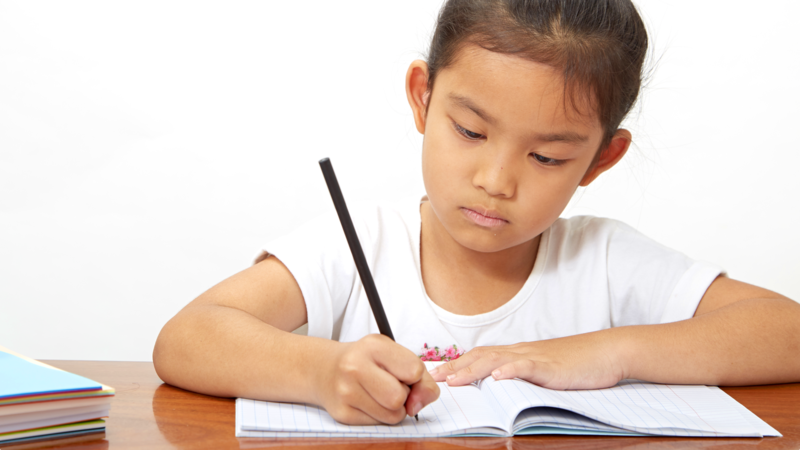 If you are wondering how your child is doing in school or want to know what they are learning chances are you are going to look at the homework that they bring home. However, that does not always give you an accurate picture of how they are doing in class nor if they actually did assignments in class that correlated to what they are studying at home. The best solution for this is an app that connects to your child’s classroom where you can see the assignments and grades along with sending communication to your child on their work that lets them know you are paying attention to what they are doing. It is the perfect way Your you to help the teacher encourage or correct your child’s learning. If you are a teacher, you need a more effective way to get parents involved in their student’s learning. Some parents do not go to open house where you get to speak with them face to face and show them what their kids are doing. Having an app on their phone with their child’s work on it gives parents an easier way to access their son or daughters class work and lets them know what they need to work on. When it is done like that you have the parents cooperation that the student will do better. Plus, you will see comments that parents leave to students about how great their work is and also constructive criticism on what they need to do concerning their grades. You can even upload their behavior for that day so parents can see if they need to discipline their kids accordingly. This app would be a lifesaver for you and it does not just come with one app but 12 educational apps to create digital portfolios. You will get to see everything your child is doing for the day and what the homework assignments are due dates. If approved by the school district, teachers or schools themselves can get this app for every student that’s enrolled. They will have to look into which company could offer them better benefits when it comes to having this type of system added to their curriculums. It is well worth the investment to pick a company with an app bundled package that would benefit the school, patent, and student. Plus, it must be easy to use. You want to see parents and students alike intersecting with these apps regularly to help keep in touch with each child’s progress. There is nothing more amazing than knowing parents are looking in on their kids which helps ease a huge burden off of the teachers. Having an app of this magnitude helps out a whole lot. You will enjoy having the parents seeing their child’s work and leaving comments. Talk to your school district and see if something like this could help all of the students. Planning a cruise is not an as simple as you may think. After all, it is up to you to make decisions concerning the place or travel and the time that you should travel. Additionally, you have to make up your mind on the kind of ship that will suit you best. The kind of ship that you pick should be fitting to the people that you will bring along. These days the option of cruises are many. They are geared towards virtually every sensibility and demographic that you can imagine. Wading through each and every option can be really confusing for you. Yet do not give up. The tips below are going to be of great help in planning your cruise. First and foremost put into consideration your traveling companions. This is the first thing that you should determine when planning a cruise. If you plan on tagging children along you should this will weigh so much on your end decision. However, if the group is composed of strictly adults a whole different range of options will appear. If your companions have different age levels, this should not bother you since there are numerous cruises that can take in a wide range of different tastes and ages. After you have pointed out your companions, get to know their basic needs and without forgetting their wants and then note them down. The time that you will take traveling matter a lot. This is in relation to the cruise that you would love to go on. In the event that you plan to cruise for a considerable amount of time then you can choose for a worldwide range of cruise itineraries that you are interested in. However, if you have limited time then you will be restricted to just a few places. It will be easier for you to narrow down your options if you know the time that you will have available for cruising. Your budget is an aspect of consideration. Same to other kinds of travelling your budget is influence the cruise that you will choose. Reliant the money that you have, you cruise may be on of the top of the line ships of just a pared down shill with little frills. To end with, put into consideration your time of cruising. If you are restricted to a specific time or season of the year, then do enough research. Ensure that at that time there will be favorable weather at the place as well as the port of calls that you will be visiting. Since college costs only continue to rise, student loans are nearly a universal part of student life. It is possible to get the right student loans, but you need the right information to do it. Read this article to learn more. Watch for the grace period which is available to you before you are required to repay the loan. This is important for avoiding penalties that may result. This will help you plan in advance. Be sure you know all details of all loans. You want to keep track of your balance, who your lender is and any current repayment status of your loans. These things matter when it comes to loan forgiveness and repayment. Budgeting is only possible with this knowledge. Make sure you are in regular contact with the lender. Make sure your records are updated, such as your phone number and address. Do not neglect any piece of correspondence your lender sends to you, whether it comes through the mail or electronically. Follow through on it immediately. If you miss something, it may cost you. Don’t worry if you can’t make a payment on your student loan due to a job loss or another unfortunate circumstance. Usually, many lenders let you postpone payments if you are able to prove hardship. Make sure you realize that going this route may result in increased interest. Remember private financing. There are lots of student loans available, and there is also a lot of demand and a lot of competition. Private loans are easy to get and there are many options. Explore the options in your community. Do not panic if an emergency makes paying your loans temporarily difficult. Many people have issues crop up unexpectedly, such as losing a job or a health problem. There are options such as deferments and forbearance that are available with most loans. Keep in mind that interest often continues accruing, so do your best to at least make interest payments to keep from having a larger balance. Work hard to make certain that you get your loans taken care of quickly. Begin by ensuring you can pay the minimum payments on each of your loans. Then, those with the greatest interest should have any excess funds funneled towards them. You will reduce how much it costs in the long run. Know how much time you have in your grace period from the time you leave school until you must begin paying back your loans. For Stafford loans, it should give you about six months. Perkins loans have a nine month grace period. Grace periods for other loans vary. Make sure that you are positive about when you will need to start paying and be on time. What you Need to do to Locate a Clothing Outlet. Clothing outlets are buildings where clothes from a clothing company are sold at a cheaper prices compared to prices at retail shops for several reasons, some of these reasons are if the clothes are damaged, are of a lower quality than those at retail shops or they are out of season. For the reason that their products are cheaper and of the same brand as expensive ones in retail shops, clothing outlets have become popular attracting a great deal of people who would want a certain brand but cannot afford it in retail. For persons who are interested in shopping in clothing outlets and this happens to become their first time, they are not likely to even know where these facilities are located, this easy will expound a few of the important step to follow to locate these stores. Begin by researching adequately about clothing outlets from several sources, understand the nature of their services and most importantly try to find the location of these outlet stores online as this will help you know where to find the at a glance of a labelled map for instance. Information on location of the outlets can also be obtained from friends who have previously visited them, you could even ask them to take you there on a shopping spree as people find it fun to go shopping they are not likely to decline your request. At times it will not be possible to find a friend who has made a visit to these clothing outlets, other means should be sought to find these clothing outlets, one of these means is the use locating applications such as Google Maps to find your way to your desired clothing outlets. Someone could also choose to inquire from the retailers of a brand where they can locate clothing outlets for such a brand, they will not always be honest with you for they are somehow competing for customers but most of the time they will be generous enough to direct you there, better still some outlet stores have mixed brands of clothes and it is therefore easy to access a wide range of brand’s in one clothing outlet. Interested persons can also obtain contact information of these clothing outlets online and making direct inquiry, this is not only safe but also advantageous in that the client could end up in the customers list and be updated of new offers all the time making it easier for them as they will go shopping only when what they need is available. Finding clothing outlets is therefore pretty easy.